That's a great looking shelf. Thanks for posting and welcome to AFi! An amazing collection! I really appreciate you're sharing with us! Thanks! LOVE the Batgirl shelf! Exhaustive collections of just one character can be so fun to look at. Thanks for posting. Thanks for posting your pictures! God how I love DC stuff from 70s and 80s! Really nice Batgirl collection! Thank so much for sharing! 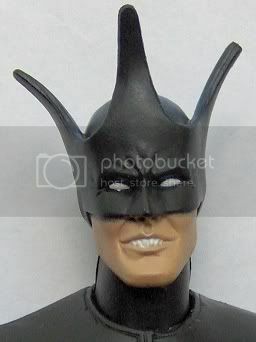 "Batchica" is the best name ever! Those bottle caps are awesome. Yeah, those bottle caps are awesome. I love stuff like that, and I love it when they do a bunch of characters.